The development follows the successful completion of the semi-final stage at the par 71 lake side Entebbe Golf Club. The all-conquering female pair of Sheila Kesime and Peace Kabasweka reached the finals after defeating the duo of Joseph Mawejje and Charles Mubiru. Kesime and Kabasweka will face Joseph Bagabo and Paul Kaheru in the epic finale next month. 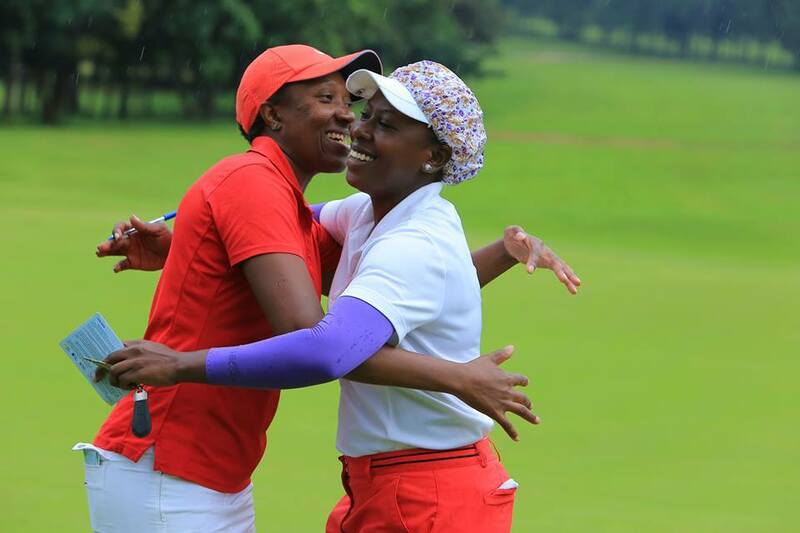 Bagabo and Kaheru ejected another female pairing of Eva Magala and Irene Nakalembe after a sudden death contest on hole two following a grueling round of golf. “We are now closer to the main trophy. We shall inject in some hours in training ahead of the finals. This will help us to polish on the aspects of our game that need urgent attention especially the approach and putting” Bagabo spoke after the tense semi-final victory. The last two standing pairs will square off on 14th July 2018 at Entebbe Golf Club as the race for the coveted RwandAir tickets take a final bend. Meanwhile, Herman Mutawe and Silver Opio are the two professional golfers who made it to the finals in the paid ranks catergory. The hole in one prize, a Mitsubishi Pajero, Sport (insured by AfriSafe Risk) remains unclaimed since January 2018. Still, the vehicle will be up for grabs when the final round is played in July. The winning pair will qualify for all expenses paid for trip to the World Golf Tour Championships at the luxurious Jumeriah Golf Estates in Dubai, United Arab Emirates from November 15-18, 2018.